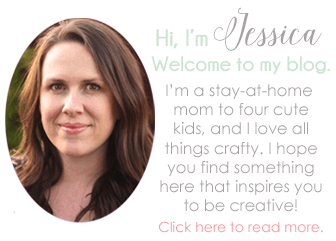 Hand embroidery designs, craft ideas, and more! I’m so excited for the holidays! 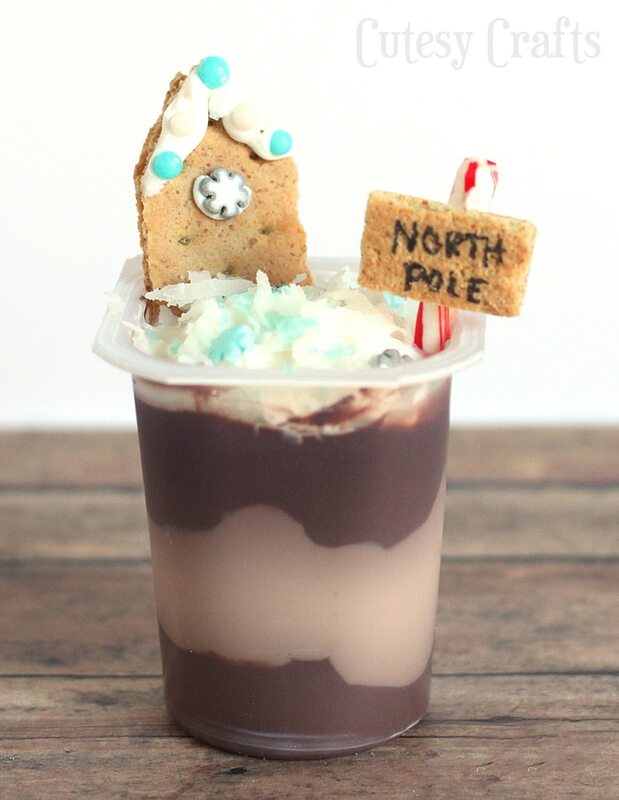 I wanted to make some cute Christmas treats for the family to enjoy, and I came up with these North Pole Pudding Cups. 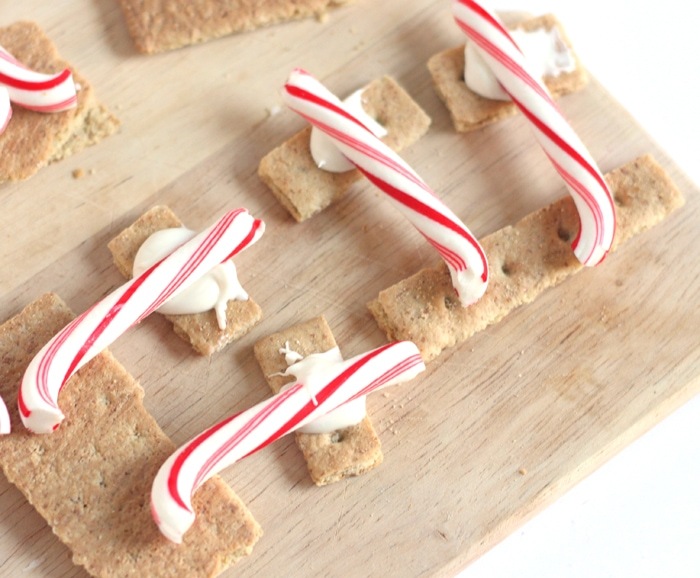 How cute would these be at a holiday party? 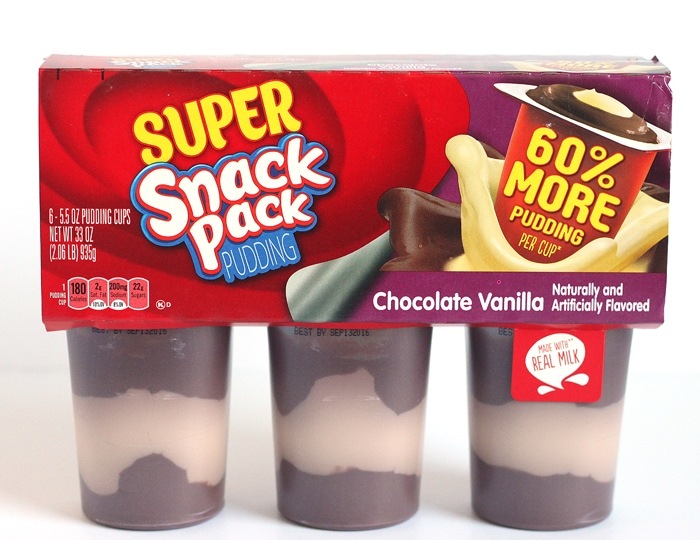 They’re easy to make, and the Snack Pack pudding cups make them convenient to transport. 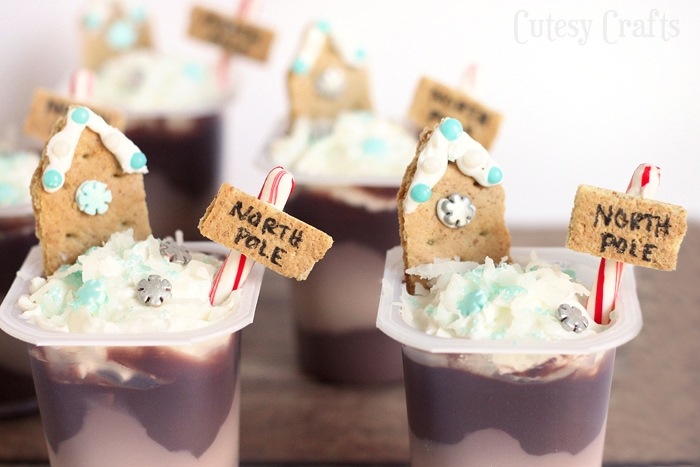 You could even let guests decorate their own little houses to put in the pudding. I let my kids make their own, and they absolutely loved it! 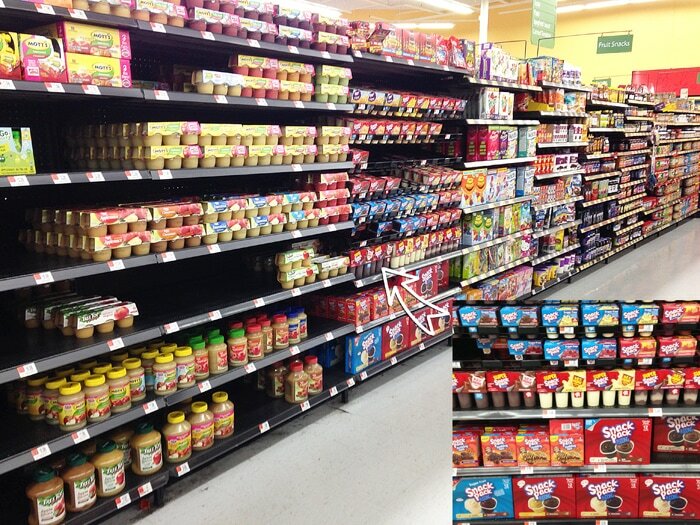 I headed to WALMART to pick up some Super Snack Pack pudding cups. I also stopped by the holiday aisle to get some fun sprinkles and candy canes to make the little winter scenes in them. They have a great selection of holiday items. 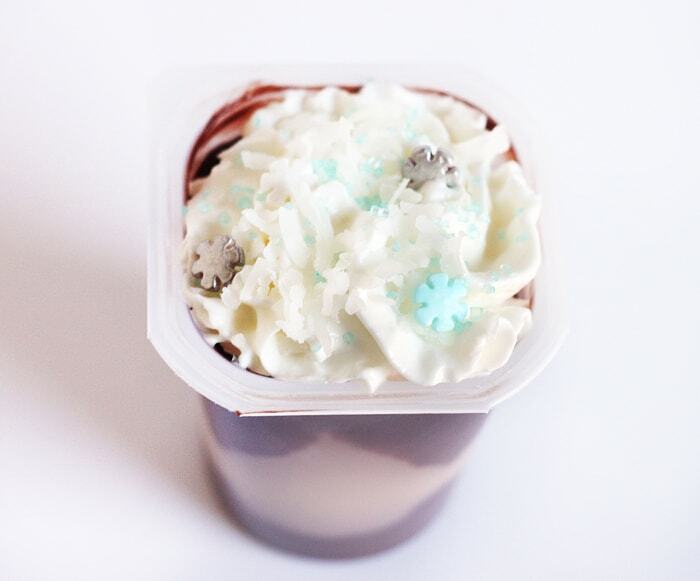 The pudding cups come in chocolate, vanilla and chocolate vanilla combo. You can use any of the flavors for this, but I chose the chocolate vanilla combo. I like how it looks like layers of dirt underneath the “snow”. 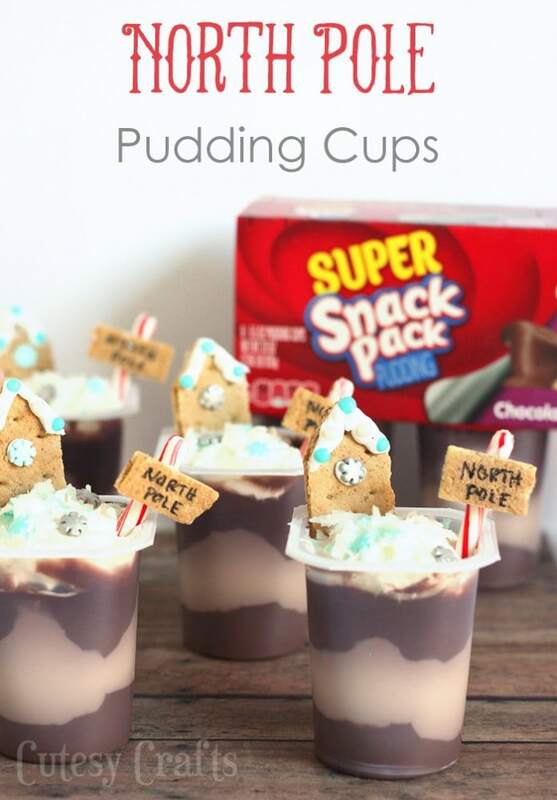 The Snack Pack pudding cups are perfect for mixing in other ingredients to make special holiday treats! Keep reading to find out how to make these ones, and go here to see some more ideas of things to mix in to the pudding. 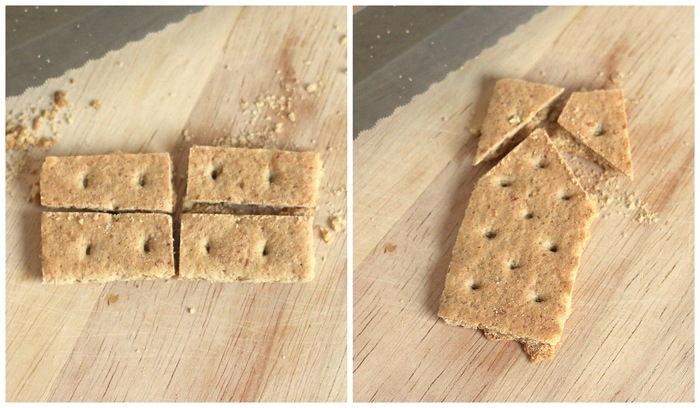 Break the graham crackers in fourths and then cut them like the photos below. Use a serrated knife and gently saw them to keep them from cracking. 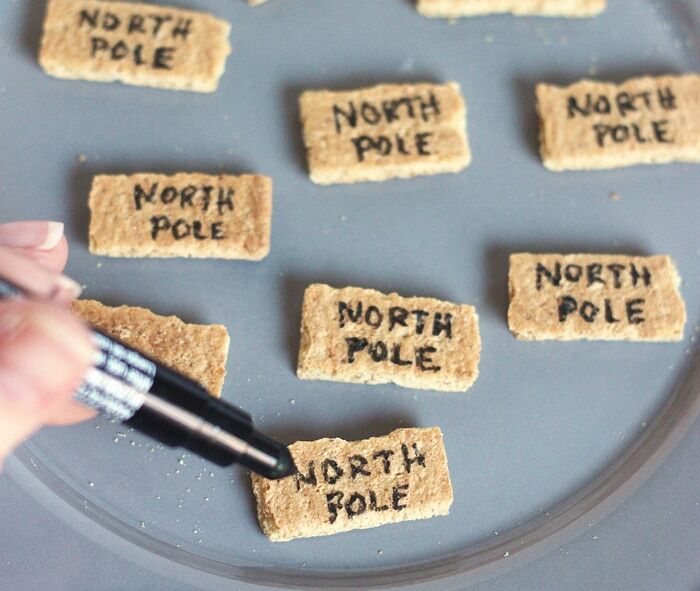 Write “North Pole” on the back of each of the small rectangle pieces with the candy marker. 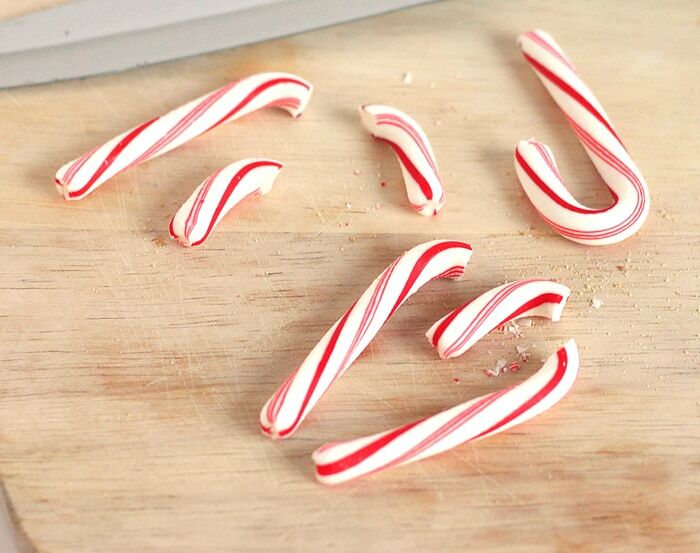 Break the hook off the bottom of each candy cane. Follow the instructions on the candy melts to melt them. Put a little on the back of each North Pole sign and set a candy cane in it. I used some graham cracker scraps to hold the candy canes in place while the chocolate hardened. 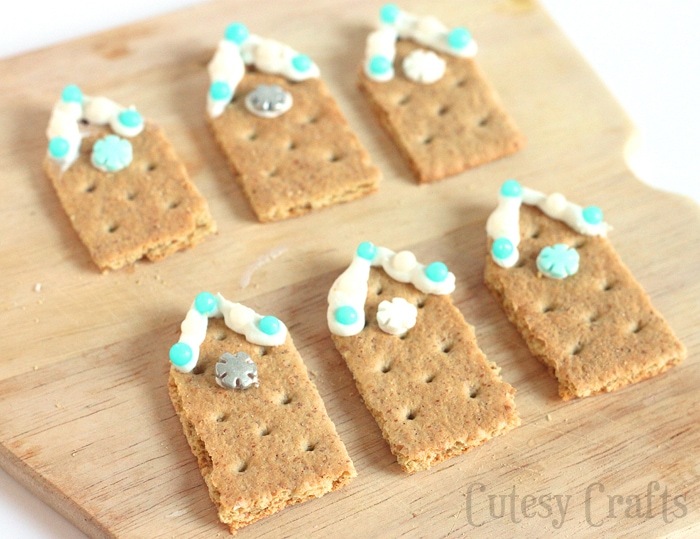 Decorate the graham cracker house pieces with some frosting and sprinkles. Open up a pudding container and spray some Reddi-Wip® on top to make snow. Top that with the coconut and some sprinkles. Yum! Push a house and sign into the pudding cup. Make sure to put them close to the edges to help prop them up. Do this part just before serving so that the crackers don’t get soggy. Aren’t they cute? My kids loved helping me make them, and they loved eating them even more. 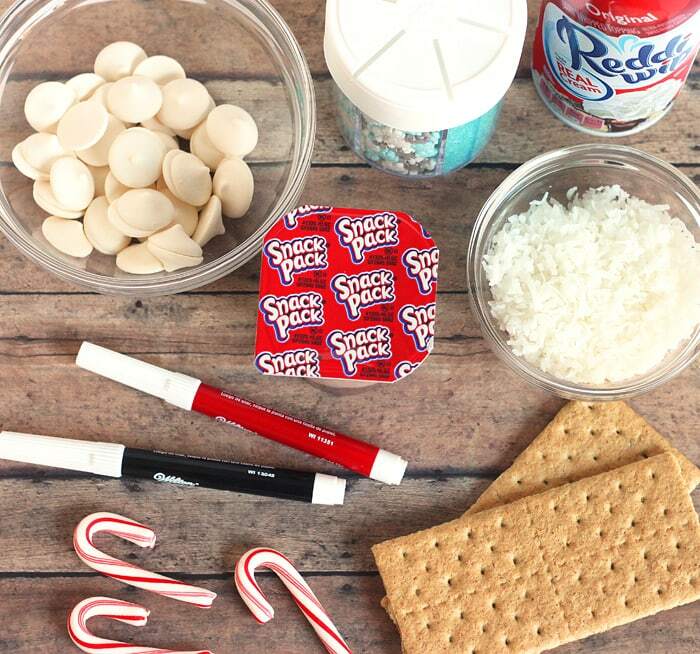 The combination of the pudding, Reddi-Wip®, graham crackers, and coconut was delicious! What would you mix into your pudding cup? Go here for some more great ideas! Almost done! Check your inbox or spam folder now to confirm your subscription.